Stoke Fleming is a village and parish in South Devon, lying within the district of South Hams. 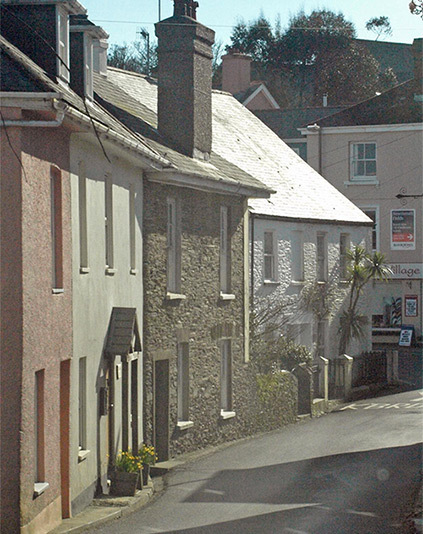 The village occupies a clifftop position on the shores of Start Bay, about three miles from the historic port of Dartmouth. The parish, 3,200 acres (1,280 hectares) in area, runs north from the sea for five kilometres, and is three-and-a half kilometres from east to west. The area outside the village is rural – with the hamlets of Ash, Bugford, Bowden, Embridge and Venn nestled in the folds of rolling farmland. Four-fifths of the population of about 1,200 people live within the village; the remainder in the rural areas. At the heart of the village are the local primary school, church, pub and village shop and post office. Half a mile to the south, along the coast, lies the very popular Blackpool Sands. Start Bay extends for 15 kilometres from the mouth of the River Dart south-west to Start Point. Stoke Fleming is near to the northern end. Though small in size Stoke Fleming is a lively and thriving community, with numerous community groups and clubs. For visitors to the area it offers a hotel, guest houses, B&Bs, self catering accommodation and caravan and camping grounds, as well as easy access to the many attractions of this Area of Outstanding Natural Beauty.